The World Team Line is a clothing system tailored to the needs of all racers. 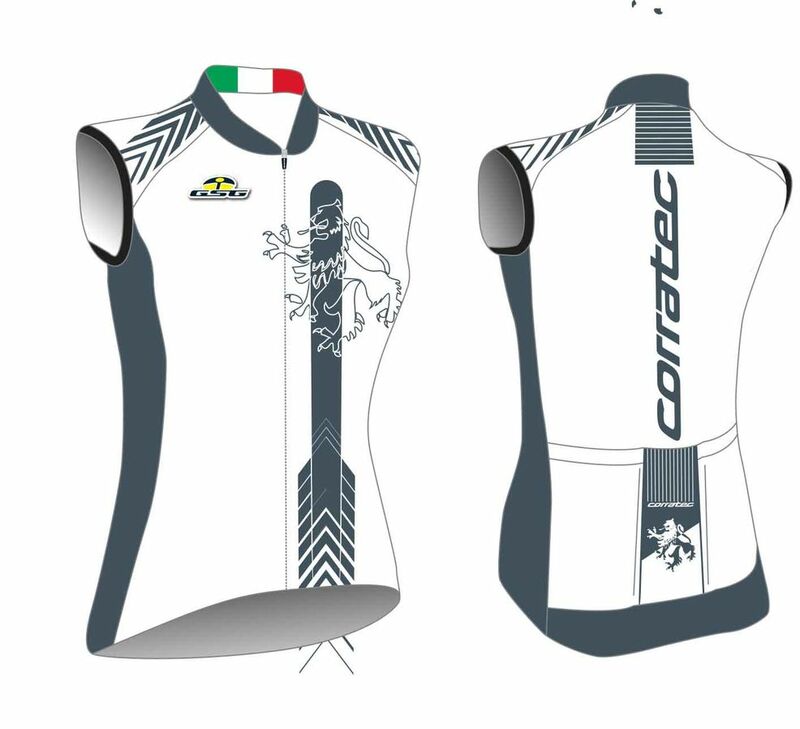 The sleeveless jersey consists of a breathable, highly elastic and moisture-dissipating material. Carbon fiber mesh material improves the temperature balance and ensures optimum ventilation and moisture control. 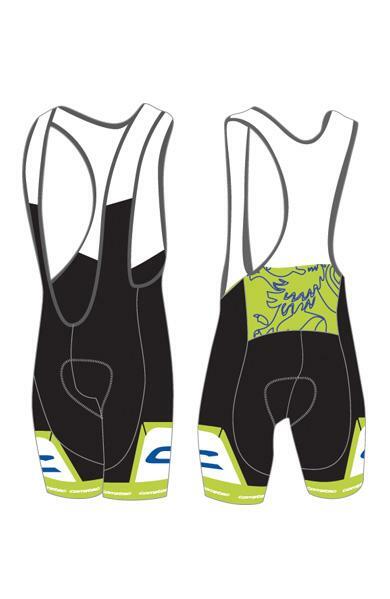 This is perfect for cycling in warm weather conditions. The World Team Line is a clothing system tailored to the needs of all racers. 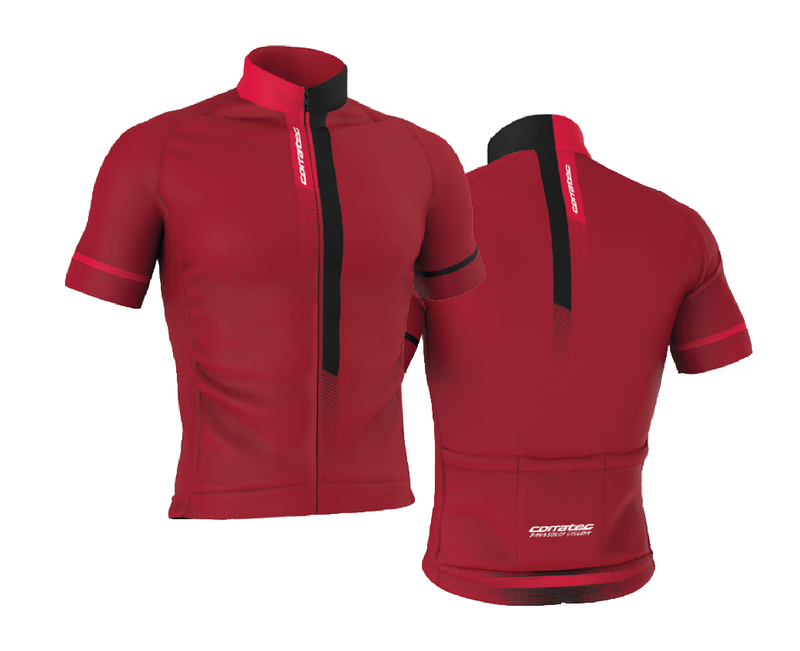 The short-sleeved jersey consists of a breathable, highly elastic and moisture-dissipating material. Carbon fiber mesh material improves the temperature balance and ensures optimum ventilation and moisture control. 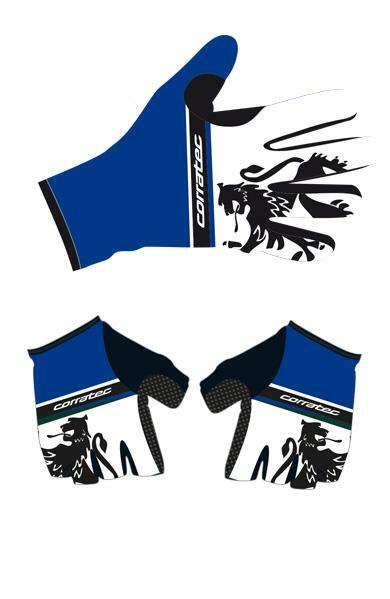 This is perfect for cycling in warm weather conditions. The World Team Line is a clothing system tailored to the needs of all racers. 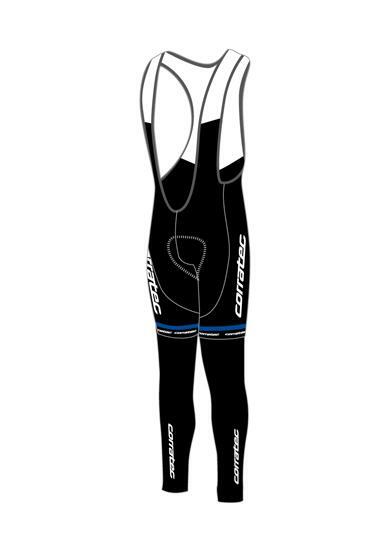 The long- sleeved jersey consists of a breathable, highly elastic and moisture-dissipating material. Carbon fiber mesh material improves the temperature balance and ensures optimum ventilation and moisture control. 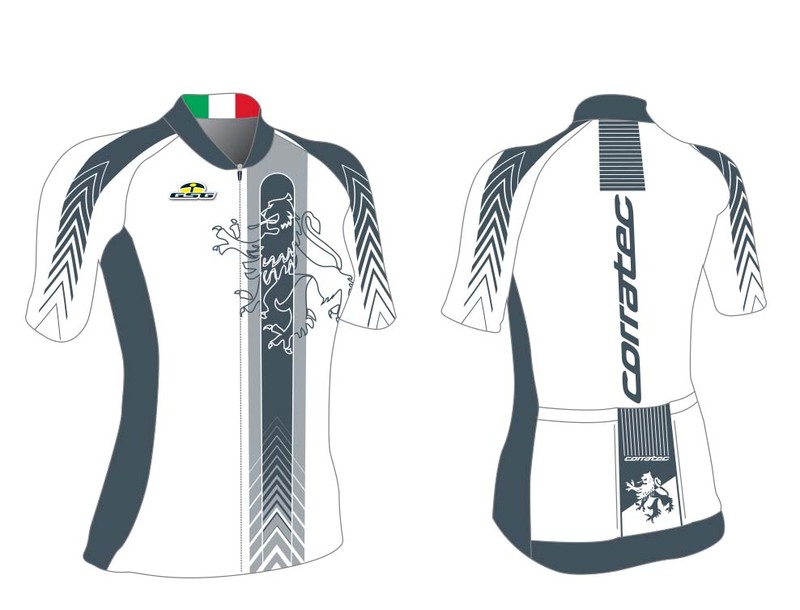 Perfect for cycling during cooler temperatures. The World Team Line is a clothing system tailored to the needs of all racers. The carrier shorts briefly glide through the light and breathable carrier and through the silicone gums at the leg cuffs. The dense main material, which is elastic and at the same time supported by flat seams, is connected to prevent friction points. The World Team Line is a clothing system tailored to the needs of all racers. The long bibshort stands out with its perfect body fit, the light and breathable straps and the silicon gums inside the leg cuffs. The dense main material is elastic and at the same time supported by flat seams that prevents friction. The Overshoe is especially developed for cold and wet conditions. It's made using incredible durable material that is water-repellent and wind-repellent. The elastic, flexible and preformed material fits perfect to the bodyshape. It ensures high comfort through good ventilation and no slipping. 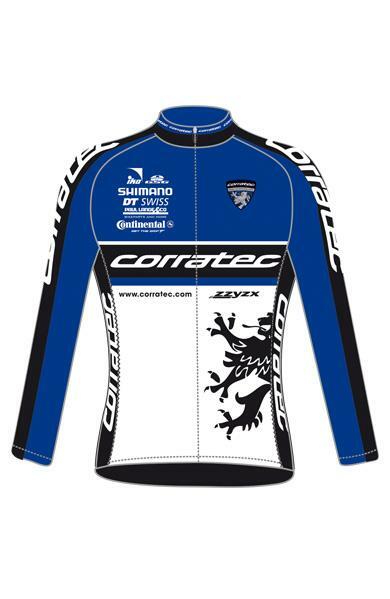 The corratec summer and winter gloves provide optimal grip on the handlebar and super moisture control. 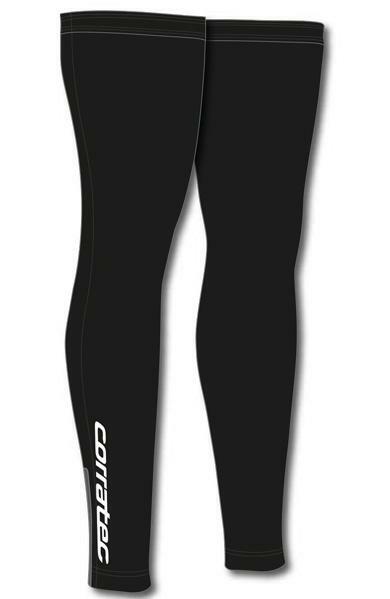 The Inpower - bi Stretch material ensures good ventilation and optimal wearing comfort. The invisible zipper is very windproof. The jersey has huge space as it allows for 3 open bags plus one bag with a zipper. 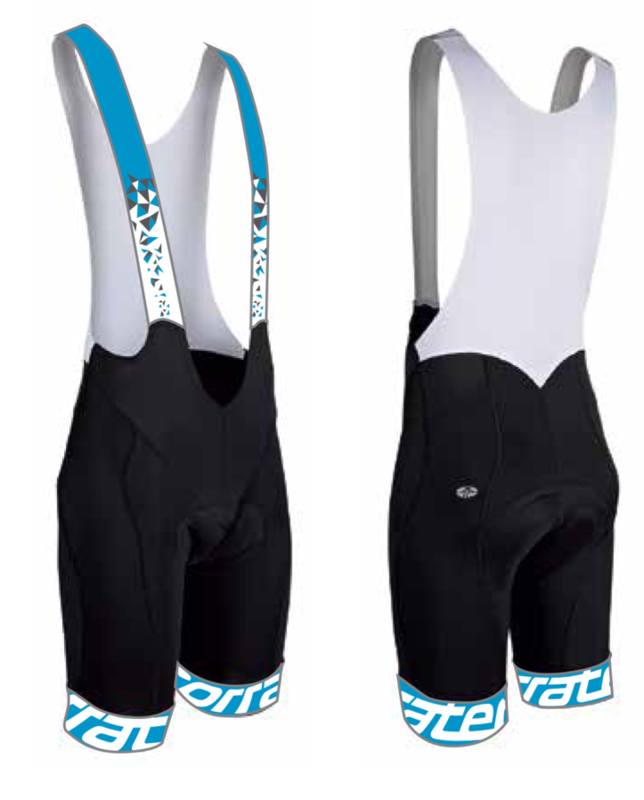 The Jersey includes 3 open pockets plus a side zip with a space miracle that is held in place by the elastic waistband. 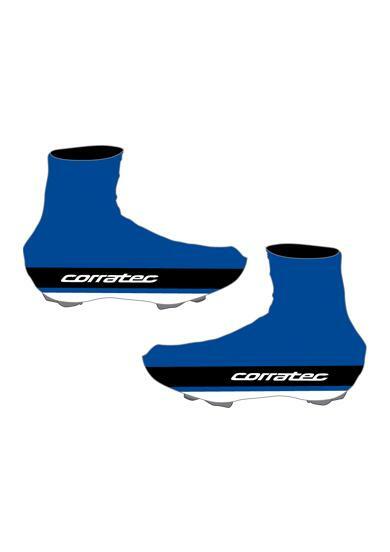 The corratec bibshort stand out with its perfect body fit, light and breathable straps and the silicon gums inside the leg cuffs. The dense main material is elastic and supported by flat seams. It is connected to prevent friction points. 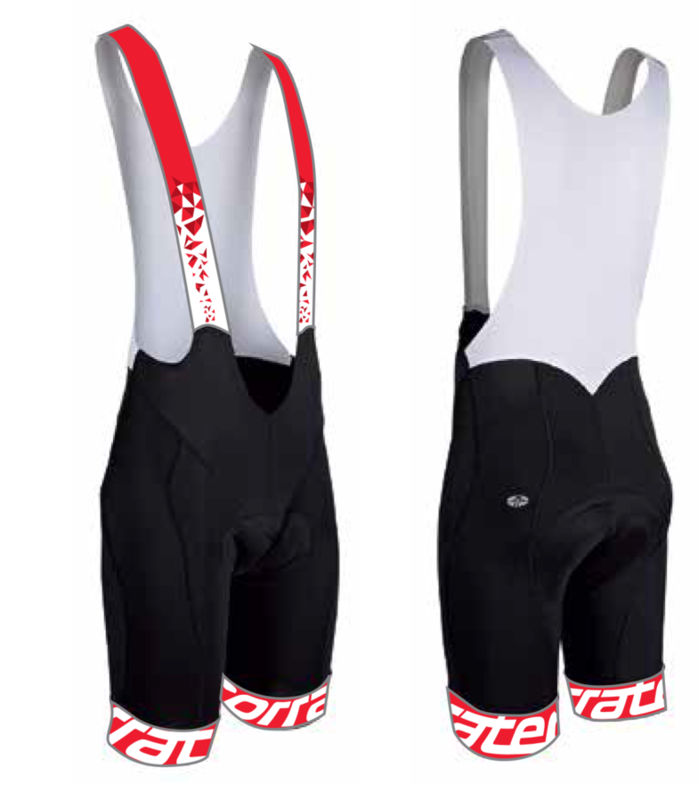 The bibshort stands out with its perfect body fit, light and breathable straps and silicon stripes inside the leg cuffs. The dense main material is elastic and at the same time supported by flat seams that prevents friction. 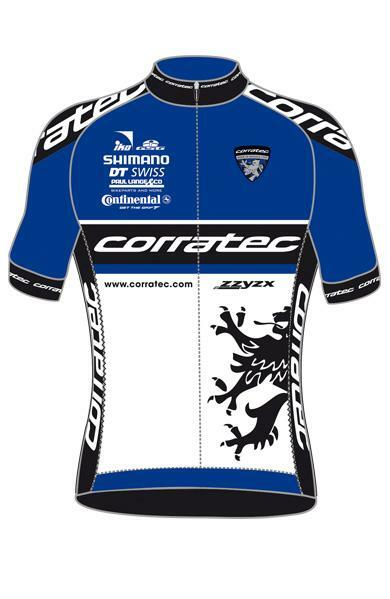 This jersey is fast drying and includes antibacterial properties leaving a pleasent feeling on the skin. Carbon mesh material improves temperature balance and ensures optimum ventilation and moisture management. 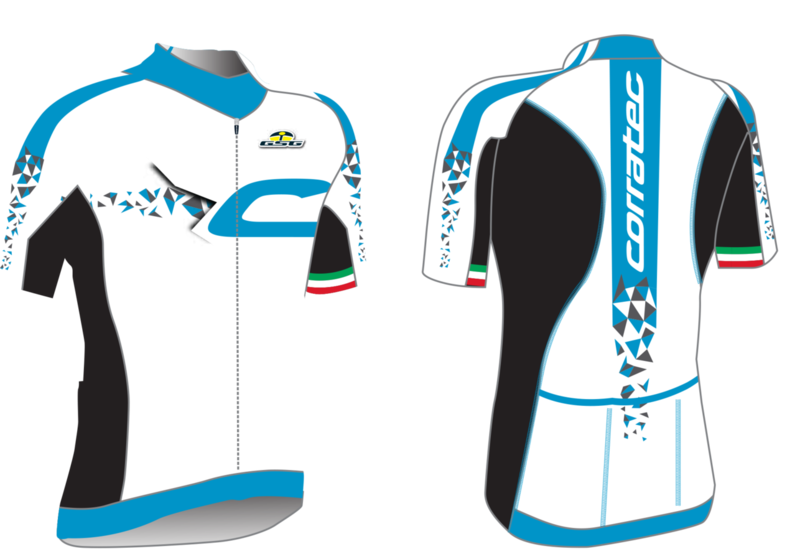 The jersey includes 3 open pockets which are compatible to fit IPODs and phones, in the space miracle. 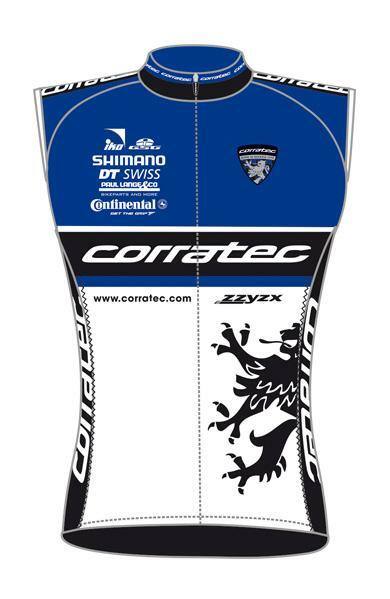 This jersey is fast drying and includes antibacterial properties leaving a pleasent feeling on the skin. Carbon mesh material improves temperature balance and ensures optimum ventilation and moisture management. 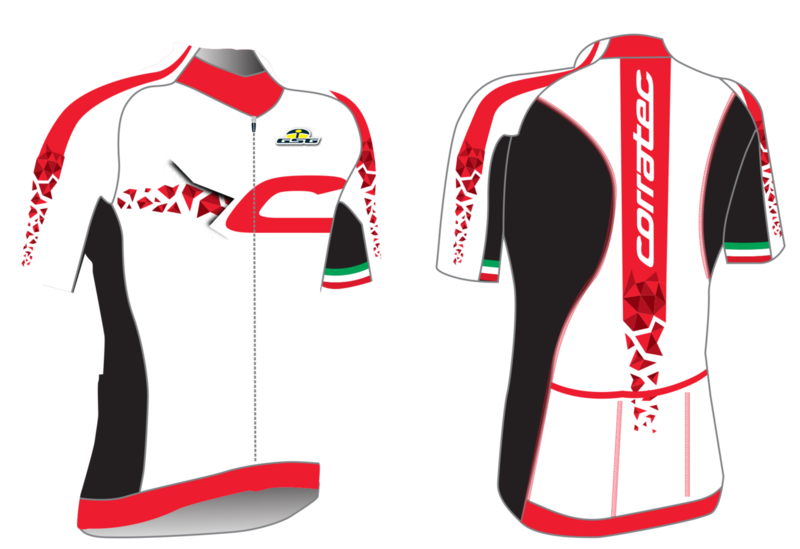 The jersey includes 3 open pockets which are compatible to fit IPODs and phones, in the space miracle. The jersey stays in place thanks to the silicone closures on the hip and sleeves. 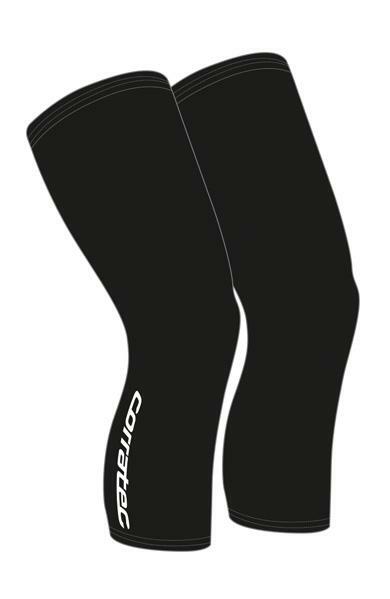 The main material of this anatomically shaped and elastic cycling pants for ladies is held in place by silicone gumming at the leg closures. 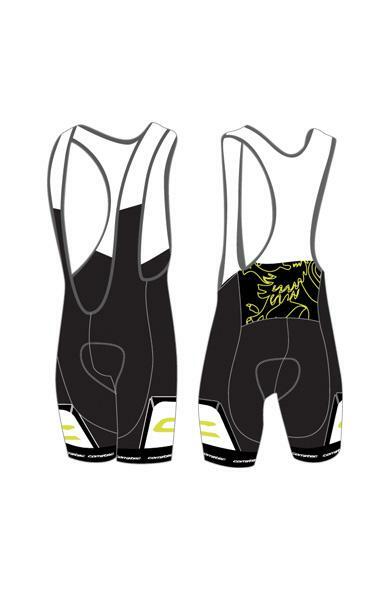 The anatomical fit prevents pinching and wrinkles and ensures a comfortable fit. By the flat 4-fold seam friction points are pre-bent.